Patrick Henry spoke out in the Virginia House of Burgesses, talking about what he dramatically called his colony’s dying liberty. In May of 1765, the Virginia House of Burgesses passed some protesting resolutions ultimately known as the Virginia Resolves. And the Virginia Resolves said that the colonists had come to Virginia with equal rights to all British subjects; that the colonial charter confirmed that; that Virginians had the right to be governed by their own legislature; and that the Virginia legislature had never forfeited its right to impose taxes on the colony of Virginia. I’ll repeat that again. The Virginia Resolves, May 1765: colonists had come to Virginia with equal rights to all British subjects; colonial charters confirmed that; Virginians had the right to be governed by their own colonial legislature; and the Virginia colonial legislature had not forfeited its right to impose taxes on the colony of Virginia. Now the House of Burgesses passes these resolutions, but in Virginia they weren’t even published in the local newspaper. However, they were published in Rhode Island. Okay. I really don’t make this up. I feel like you’re going to accuse me of planting Rhode Island randomly throughout this course and I’m not. It’s — Really it’s there all by itself. Rhode Island — and why Rhode Island I can’t tell you — but indeed by happenstance, someone in Rhode Island — It circulates. The resolves are circulating. People are reading them and they’re talking about them, but it’s somebody in Rhode Island who publishes the Virginia Resolves in a Rhode Island newspaper. Those are two really strong statements. 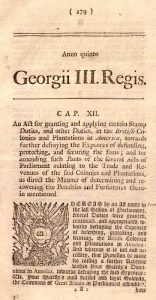 The Virginia House of Burgesses did not pass those, did not resolve those, but they get published in Rhode Island right alongside the ones that were passed and resolved, and so they go circulating throughout the colonies, making Virginia look a lot more radical than it was at that particular moment. So news of this sort of new radical version of the Virginia Resolves gets spread throughout the colonies and colonies are then inspired to pass resolves of their own. So it’s another Rhode Island moment. However, it is Massachusetts that first suggests united colonial action. 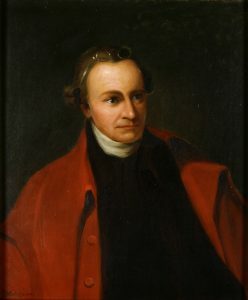 So in June of 1765, the Massachusetts assembly sends a circular letter to all of the colonial assemblies — and a circular letter is kind of what it sounds like, a letter intended to circulate — to all of the colonial assemblies inviting them to meet in a congress in New York in October of 1765, quote, “to consider of a general and united, dutiful, loyal and humble representation of their condition to His Majesty and the parliament and to implore relief.” Okay. So it’s a united response but it’s also dutiful, loyal and humble, so on the one hand the fact that there’s going to be some kind of a united colonial statement is interesting and forceful, but on the other hand, dutiful, loyal, humble. We’re not — we’re not here declaring independence here. We’re just kind of imploring relief, making a statement that, ‘Excuse us: we are your humble and obedient subjects and we don’t really like this; thank you very much.’ So it’s that kind of a statement. Nine colonies responded. New Hampshire declined to participate. Virginia, North Carolina and Georgia couldn’t participate because their governors didn’t convene their assemblies to elect delegates, so there were no delegates elected, but all in all there were twenty-seven men who took part in what came to be known as the Stamp Act Congress. Right? Easy enough to remember, the Stamp Act Congress, which met for much of October in 1765. Okay, the Stamp Act Congress. 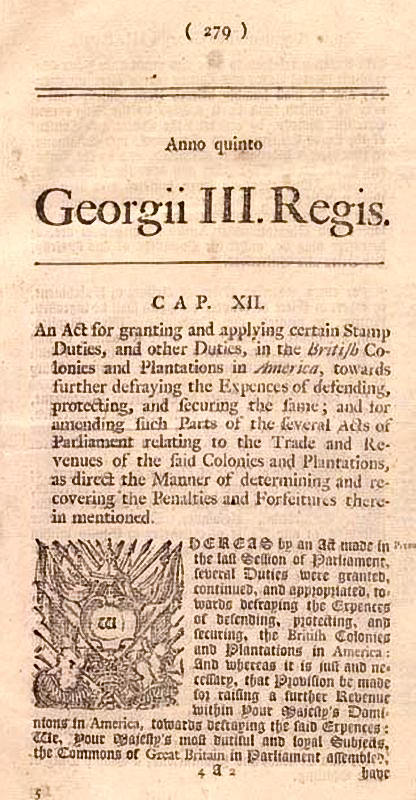 The Stamp Act Congress was actually the first of what we’re going to see is a series of extralegal organizations created outside of the regular colonial political system to resist and reform British policies — and so it’s a significant action on the part of the colonies. And ultimately, the Stamp Act Congress passed a series of declarations, and they kind of echo some of the resolutions and declarations that had been circulating and they’re going to sound not drastically different from some of the logic that I’ve been talking about in the last lecture or two. And I’ll just mention four of the resolutions passed by the Stamp Act Congress. 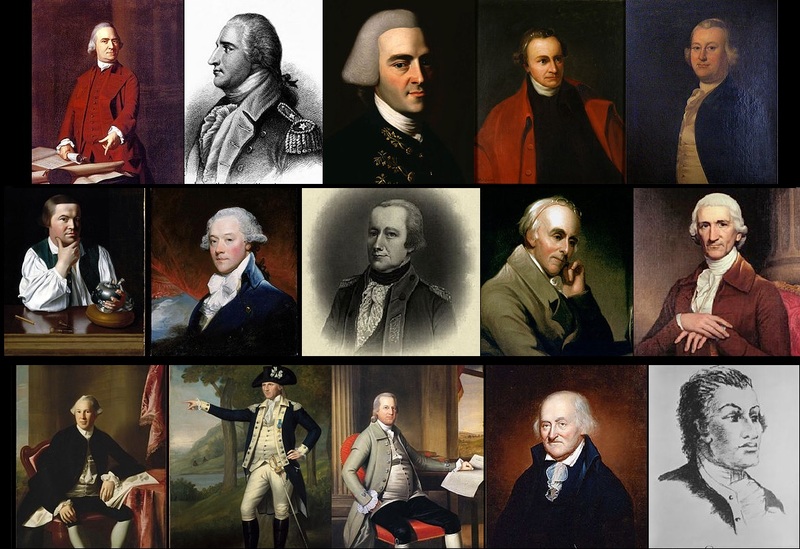 They declared that they owed their allegiance to the crown like any British subject; they declared that they were entitled to the rights and liberties of any British subject; they said that British subjects in the colonies could not be taxed without their consent; and they declared that trial by jury was the right of every British subject in the colonies. So you can see their — really their statement is saying well, we’re British subjects like any other British subject and we’re demanding the rights and liberties of other British subjects. Now it’s important to note — the resolutions are not saying that Parliament had no right to regulate trade in the colonies. They’re just saying that Parliament cannot directly tax the colonies without their consent. So again, it’s a direct statement, it’s a strong statement, but it’s a respectful statement and it’s not boldly sort of altering — at least in the minds of the colonists — an enormous change of policy. They’re kind of stating what they think the state of things is. So clearly the Stamp Act Congress is a step toward colonial unity; it’s a significant step. Did anyone in Parliament actually oppose the Stamp Act and if they did what was the logic? Most members of Parliament assumed that the Stamp Act was, I suppose you could say constitutional, or that it was above-board, proper, that there was nothing wrong with it as far as procedurally — and most members of Parliament assumed that the colonists would agree it’s constitutional — above-board — there’s nothing wrong with it as far as the fact that it exists; the Stamp Act is perfectly proper. Some members of Parliament, and not a lot but some, did admit that maybe Parliament was treading on dangerous ground, but even these people didn’t worry about the Stamp Act on constitutional grounds. They didn’t say, ‘Wow. I wonder if we have the right to do this.’ Rather, they worried that maybe the colonists were going to be unhappy because the Stamp Act maybe would seem too burdensome. Or they worried that maybe the colonists would think this was some kind of an aggressive display of parliamentary power, but members of Parliament were actually not worried about this seeming as though it’s something that wasn’t proper, wasn’t allowable, wasn’t supposed to be done within the confines of the British imperial system. 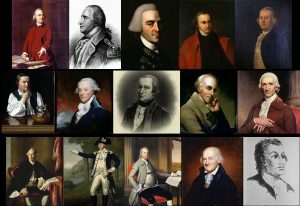 Collage showing several members of the Sons of Liberty. So far we’ve largely been talking about speechifying, paper-pushing, resolves, declarations, newspaper announcements, but in Boston we’re now about to see some physical resistance. Because there, some radicals decided no more words — action. 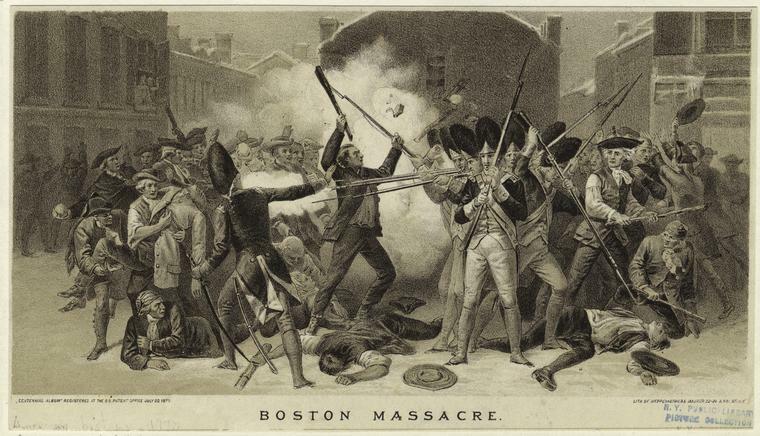 And these Boston radicals, as you’re about to see, they deployed a long-held colonial tradition of resistance. They basically planned a mob action. Now it’s important to note that mobs in early America weren’t sort of wild, violent, out-of-control, ‘oh, my gosh, it’s a riot’ kind of actions. In a way they were sort of part of the political system, something that people were supposed to do when they felt outraged. It was sort of a way of venting popular protest, and usually early American mobs were pretty conservative. They were usually focused on protecting the good of the community from things like unfairly high food prices or illegal business practices. Normally, they weren’t really excited about tearing things down. Normally, they involved some marching and some yelling, there was a lot of effigy-burning, and then people went home. So early American mobs again are almost kind of procedural. They’re sort of what happens when you’re upset and you’re a member of the public, and it’s not only sort of average members of the public — it’s not only the masses taking part in these kinds of protests. All levels of society might take part at one time or another. So in the summer of 1765, some Bostonians decided they’re going to take advantage of this tradition. 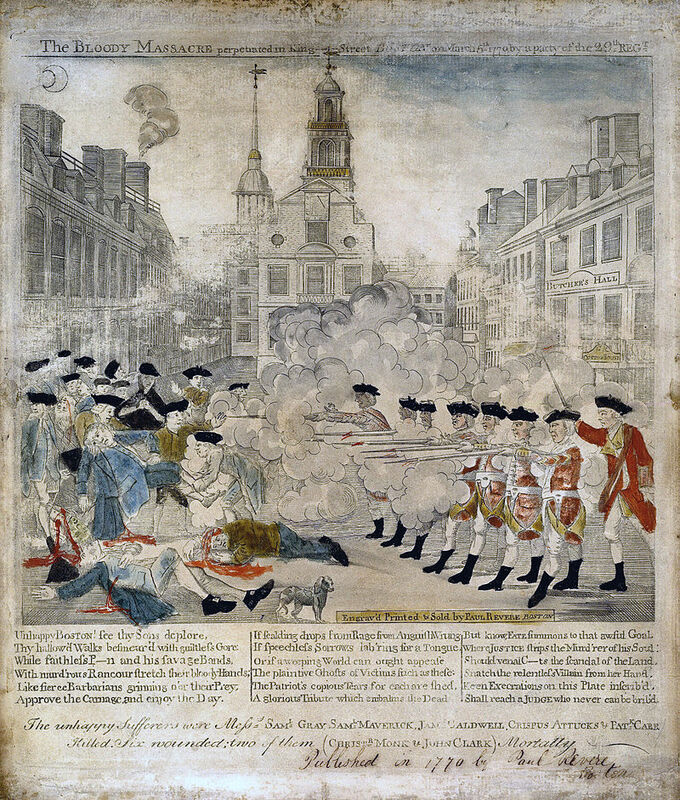 A group of Boston radicals who eventually called themselves the Sons of Liberty, so here’s yet another — Now we’re starting to get to the part of the course where these things come out of my mouth and you’re like ‘ding, ding, ding, ding, Revolutionary War moments, Sons of Liberty,’ and [inaudible] we’re going to have another one by the end of the lecture today but here’s one: Sons of Liberty, Boston. So these radicals decide they’re going to take action. And the Sons of Liberty basically are artisans and shopkeepers who want to act in resistance to the Stamp Act. 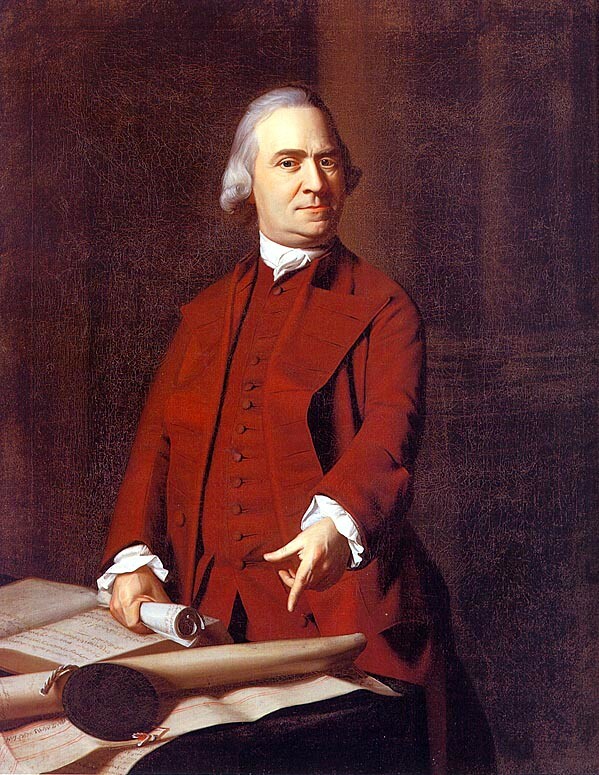 Samuel Adams — who’s really more a member of the elite, but he nevertheless was kind of a champion of the artisan class — and he’s among their number too. So let’s look for a moment at what the Sons of Liberty decide to do and how it works out. In Boston at the time there were two really large fraternal organizations of artisans. There was one in the north end of Boston, there was one in the south end of Boston. And the Sons of Liberty think — well, we have these sort of organized groups like clubs of artisans. Why don’t we enlist the aid of one of them? They’re sort of already organized. They already have a leader. Maybe we could get them to help us in some sort of organized protest against the Stamp Act. So they appeal to the south end group, who agrees to take part in some kind of a protest. So now we have this radical group, the Sons of Liberty, who have named themselves, so they’re organized enough to have names. We have an organized force of men. And we have a focused desire to protest against an act of Parliament. So this is on its way to being a different kind of early American mob action than these other ones might have been. Okay. So the result of all of this kind of action is that by November of 1765, when the Stamp Act is actually going to go into effect — So first of all, the act actually hasn’t gone into effect yet. Everything I’ve talked about is leading up to it actually going into effect. So November of 1765, it’s due to go into effect but people aren’t quite sure what to do. Do we ignore it? Are there actually any stamp agents left? Maybe we don’t have to ignore it because nobody will sell stamped paper. I don’t know. And some people did just choose to ignore the act. Others went further and decided to boycott British goods which, as we’re going to see further into this course, was sometimes a really effective way to protest against the mother country — basically, hit economically and that’s bound to make an impact. But in the middle of all this, Grenville’s ministry fell, not because of the Stamp Act but because of insider politics. The colonists saw this as providential. Grenville’s gone. Clearly it’s a sign from providence that we are meant to succeed here, to come out of this looking better than things were when we were in the middle of it. The new prime minister is the Earl of Rockingham. 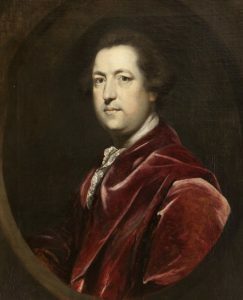 Now the Earl of Rockingham had strong connections with London merchants. London merchants clearly are people who are going to be deeply affected by colonial boycotting, so they want the Stamp Act repealed. So we’ve got this new Prime Minister, the Earl of Rockingham; he’s in with the merchants who are being hurt by the boycott. The idea now is — it would be a fine thing if we could figure out a way to repeal the Stamp Act, but the problem of course is figuring out how to repeal it without seeming weak, while holding your ground. Now to Britain, the Declaratory Act asserted their control over the colonies, their legal control over the colonies in all cases. To the colonists, because it mentioned legislation but not taxes, it seemed to suggest that maybe they had made their point, that Parliament is not going to assert taxation. So in a way the Declaratory Act makes things worse. It worsens ongoing misunderstandings between Parliament and the colonies — the British not fully understanding the colonial mindset about the workings of the empire, the colonists not viewing their own logic as exceptional in any way. They assume that their logic has been understood. The Declaratory Act also didn’t really encourage compromise, because if you think about it, moderates on all sides were discredited. In England, the Declaratory Act asserted Parliamentary power, so it’s a strong statement of power. In the colonies, radicals ruled the day, because it seemed as though they’d made their point. So as far as the colonies were concerned, the Stamp Act crisis moved many to accept radical leadership; it appears to be working. It also revealed to the colonies the power of uniting the colonies to bring pressure against England, which also seemed to have worked. Now once again in the middle of all this, the Prime Minister yet again is replaced. Clearly, this is not the time to be a Prime Minister in England. It’s kind of a rocky time going on. 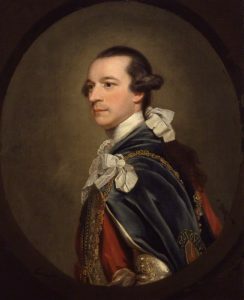 The Earl of Rockingham’s ministry falls. Charles Townshend takes his place. Charles Townshend, the new Prime Minister — and he’s given the task of balancing the budget in 1767. And like Grenville before him, Townshend first looks to England itself and issues new taxes in England, but again he still needs more income and he does next turn to the colonies, and he devises a scheme that he thinks isn’t going to be too upsetting to these sort of touchy colonials. He says he’s going to proceed, quote, “with great delicacy,” right? Because it’s clear now, ‘they get upset over there; they get upset. We need to be careful, I’m going to proceed with great delicacy.’ He understands their sensitivity about this whole issue of taxation. So he decides he’s going to ask for customs duties on items that the colonies import from Britain, like glass, silk, paper, paint and — tea. [laughs] You can see where we’re going. But this is not an internal tax. This is an external tax. It’s not a tax on things within the colonies. It’s not a tax on legal documents. It’s not a tax on playing cards like the Stamp Act. It’s an external tax. It’s customs duties. And like before, Townshend wants the money raised by this to go to pay for royal administration in the colonies, so also the money raised isn’t going back to England; it’s going to be spent on the colonies. Townshend also reorganized the customs service in the colonies, basically tossing out old customs agents who had been bought by colonial merchants and putting hand-picked men in their place. So all in all, Townshend thought — surely these are tame enough measures that the colonists aren’t going to object to them. Right? This seems as though they’re accommodating, they’re mild, nothing very dramatic is being done here. These come to be known as the Townshend Acts of 1767. And sure enough, the initial response to the Townshend Acts is relatively weak. But, colonial anger is raised yet again by a publication by a colonist named John Dickinson. He’s a Pennsylvanian. He’s in Pennsylvania and he writes a series of letters. First they appear in a Pennsylvania newspaper. 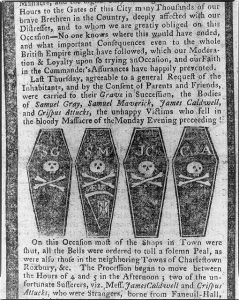 They’re eventually published in other colonial newspapers, and then finally they’re put together and published in a pamphlet. This is all in 1767 — and the pamphlet is named Letters from a Farmer in Pennsylvania to the Inhabitants of the British Colonies. They had very literal titles in these days; this is one of them. 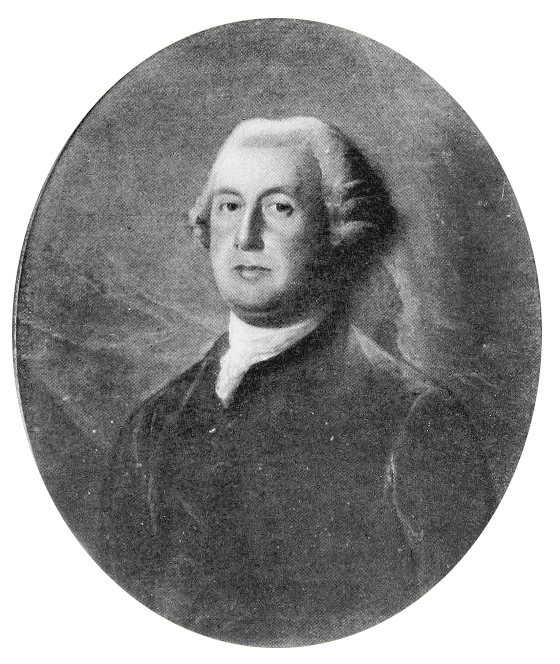 John Dickinson, Pennsylvanian, Letters from a Farmer in Pennsylvania to the Inhabitants of the British Colonies. Now Dickinson actually — When you read these, he’s pretty moderate in tone. And most of what he does is he uses past precedent to argue against the right of Parliament to directly tax the colonies. He asserts directly: we’re not talking about independence; we’re just talking about past precedent. However, he also says, and this is a quote from him, “We cannot be happy without being free. We cannot be free without being secure in our property. We cannot be secure in our property, if without our consent, others may, as by right, take it away, that taxes imposed on us by Parliament, do thus take it away.” That’s really clear, direct logic. Right? We can’t be happy without being free. We can’t be free without being secure in our property. We can’t be secure in our property if without our consent, others may take it away, and Parliament seems to be taking it away. So Dickinson isn’t arguing anything amazingly new here, but he’s certainly stating it with real clarity and real power. And he also appears to be saying, ‘Well, some of that stuff we learned from that whole Stamp Act thing? I think they apply as well to this new Townshend Act thing.’ He appears to be drawing a pattern. So Letters from a Farmer in Pennsylvaniaultimately has an impact. It’s a strong statement. Up in Boston, there was also some writing going on. 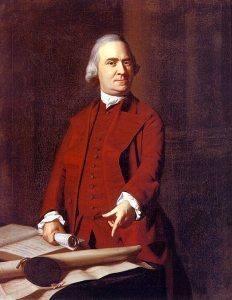 And there, Samuel Adams, who was in the Massachusetts assembly, wrote a circular letter that he sent to other colonies. Yet again, another circular letter, and this time it’s a circular letter protesting against the Townshend Acts and it’s moderate, but it’s criticizing the acts. It does deny — It’s — We’re — ‘This isn’t about independence, we’re not trying to rebel here’ — but it does urge joint colonial resistance to the Townshend Acts. Now back in England, many people urged a lenient response to this. If you think about it, potentially, it’s a scary thing. You have this guy — this radical guy in Boston — who’s urging joint colonial resistance to an act of Parliament. So as you will see, some people get rather upset by this, but not everybody. Some people say, ‘Well, okay. Let’s not over-respond; let’s not overreact.’ However, the British Secretary of State, Lord Hillsborough, really saw this as organized resistance and refused to stand for it. So in 1768, privately consulting with the King, so kind of doing this off on the side, he instructed the Governor of Massachusetts to dissolve the Massachusetts assembly unless they took back the letter. He also sent a letter to all royal governors telling them to ignore the Massachusetts letter or else he would dissolve their legislatures too. Okay. That’s — There’s a strong statement for you that’s clearly bound to make colonists get very, very upset. 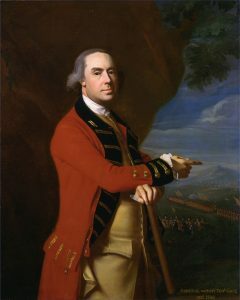 Hillsborough also, knowing that people are going to get upset, urged General Thomas Gage — who’s commander-in-chief of the army and at the time was posted in New York — he urges Gage in New York to prepare his troops in case they’re needed in Boston. Okay. So he’s anticipating there might be a response; it would be nice to have troops potentially ready to go to Boston. So now, troops are being organized, there’s threats about dissolving assemblies, and communication between the colonies in the form of a circular letter is being discouraged. So clearly, if you’re a colonist at this point, there appears to be a plan of repression, right? A plan. There seems to be a system of tyranny. There seems to be some kind of organized attack on colonial liberties, and I’m emphasizing plan and system and organized because next week that’s the direction we’re going to be going with the lectures. We’re going to be looking at what I call the logic of resistance, or — how does all of this add up in the minds of the colonists? What’s — what are they drawing — what conclusions are they drawing based on actions that are happening? And as we’ll see in the lectures and in the readings for next week, there’s a lot of conclusions being drawn about an actual system of tyranny, which is a very eighteenth-century way of kind of looking at it. So colonists are wondering if there’s a sort of system of repression being put in place. Meanwhile, Parliament, eventually, in 1770, repeals most of the Townshend Acts but does preserve the tax on tea, partly for revenue and partly to prove that they still have the right to tax the colonies. So we’re half-seeing revenue raising and half-seeing an argument here. And probably there was an assumption on the part of Parliament that by repealing most of the acts things would quiet down, but as events in Boston were about to prove this would not be the case. As we’re about to see, between 1768 and 1774, Boston really ends up taking center stage. And thanks in part to the actions of Samuel Adams who really is — you’ll see today — a brilliant propagandist and a man with a really fierce sense of his rights — his British rights and his grievances as an English subject. And I will add that Samuel Adams did brew beer. He actually is — Samuel Adams is associated with beer, so truth in advertising, though I have no idea if that’s an accurate portrait of Sam Adams. 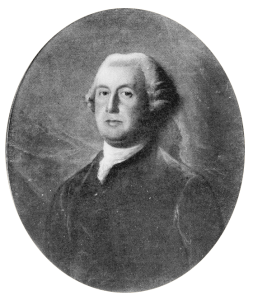 October of 1768, troops actually arrive in Boston at the instigation of Massachusetts Royal Governor Francis Bernard, who’s alarmed at the sort of radical rumblings that he’s hearing. 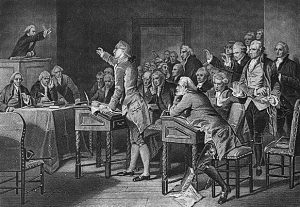 Parliament makes things worse by — in December of 1768 — by proposing that the ringleaders behind that circular letter that seems like organized resistance, that they should be brought to trial for treason, and using an obscure law, they say that they should be brought to trial for treason in England; they should go trial in England. Okay. Again not something that’s going to make colonists really happy. Not surprisingly, when you have the next election for the assembly in Massachusetts in 1769, a large number of radicals get voted in. And this new assembly passes, logically enough, radical resolutions again largely the work of Samuel Adams, the sadly not good-looking Samuel Adams, [laughter] who declared in these resolutions that “no man can be justly taxed by, or bound in conscience to obey, any law to which he has not given his consent in person or by his representative.” Okay. That’s a stronger statement than the ones we’ve had before. What he’s saying here — Formally, like other colonial assemblies, the Massachusetts assembly was saying, ‘well, Parliament can legislate for us but they can’t directly tax us without our consent,’ but this statement says, ‘Parliament can’t legislate for us if we have no say in the process.’ Bang. That’s a very strong statement. So clearly there’s a lot of emotion that has been raised about what the British administration is doing. It’s being vented in radical resolves like that. The arrival of troops in Boston in 1768 ended up really focusing these feelings of grievance, these — this anger, these sort of passions. You have troops being sent to Boston at a moment where people are angry at the British; surely enough you can see that the colonists are going to vent their feelings towards the soldiers. 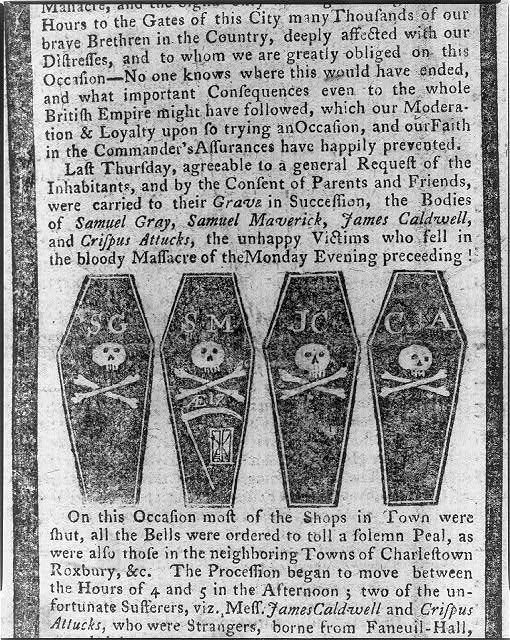 Troops being sent to Boston increase colonial assumptions that they are being treated as second-class citizens, as lower-class subjects, as people who are not equal to other British subjects within the empire. And Samuel Adams said this really clearly in a newspaper article written at the time. He wrote: “It is well known from the first landing of the troops that the troops’ behavior was to a great degree insolent and such as looked as if they really believed that we were a country of rebels and that they were sent here to subdue us.” Right? Again Adams is propagandizing so he’s always saying things with a sort of extra twist, but what he’s saying is, it was very clear that when the troops arrived they were treating us like lowly rebels and that they were sent here to subdue us. So given all of these feelings — fears about a tyrannical standing army that’s inside a sort of system of tyranny — it makes sense that when these troops arrive in Boston relations are not going to be good between people in Boston and soldiers in Boston, which brings us to yet another sort of bell-ringing Revolutionary War moment, a particularly noteworthy active resistance in Boston later memorialized by clever colonial propagandists as the Boston Massacre. Right? That’s how we know it today. They gave it — Colonists gave it that name. It’s a snappy name. Right? We kept the name. We like the name. It really has some zing, makes a political point. So let’s look for a minute here at the details of the Boston Massacre, partly because they’re really interesting as you’ll see — it’s just a really interesting incident — but also because I think if you look at how the colonists and the soldiers were interacting, it really will reveal something about the dynamic of colonial-British relations at the time. Now first off, it’s important to understand that the Boston Massacre wasn’t this little isolated moment of conflict between soldiers and citizens. 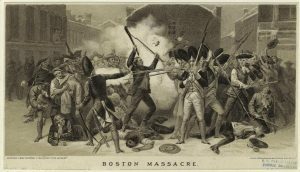 Between 1768 and early 1770, tensions were building between the colonists and the troops, and in early 1770 there actually were a number — several — different outbursts of hostility between townspeople and soldiers in Boston. So an example: On March 2nd, Samuel Grey, a rope maker, asked a passing soldier if he wanted a job, and when the soldier, who was probably underpaid, said, ‘Yeah, actually I could use a second job,’ Grey laughed and said, ‘Good. Go clean my outhouse.’ This did not make the soldier happy, so the soldier slugged Grey, and Grey hit back, and other people — soldiers ran out and other colonists ran over and there was a fight — there was a street fight. A few days later, March 5th, another fight broke out when another civilian said something insulting to another soldier and they began punching each other and there was another street fight — and that would be the first in a series of increasingly agitated clashes on that day, March 5th, 1770, that’s going to end in gunfire. But obviously the Boston Massacre is not the first moment of conflict. Now later that evening — There’s a series of little outbursts that day, March 5th. Later that evening a small boy walking out on the street began taunting a soldier, and the soldier responded by knocking him down. Well, the boy got up, went off, found some other colonists in the street and complained that a soldier over there had knocked him down. So in this environment that’s going to really get a lot of colonists upset. So a little ring of people surrounds the kid. ‘He’s knocking down a kid? We need to go get the soldiers.’ Right? So a small group of colonists heads off to the barracks to actually accost the soldiers, but they’re held off by guards. Soon thereafter, someone begins ringing the bell of the Boston Meeting House — and normally when you ring the bell of the Boston Meeting House that’s a signal for fire, and fire is a serious thing in a place full of wooden buildings. Right? So if the bell is ringing that means, ‘oh, my God, there’s a fire’ — and everyone does what they should do when there’s an alarm of fire. Right? The bell goes off and dozens and dozens and dozens of people run in to the street thinking that there’s a fire. Now from this point we have several accounts. There are a number of accounts about what happened, some of them conflict, and we’re going to be looking at two accounts today. We’re going to be looking at one by British general Thomas Gage, I mentioned before, the commander-in-chief of the British army in America. He’s posted in New York but he had gotten a very detailed report about what happened in Boston from his soldiers — his officers and men — on exactly what they think they experienced. And then the other account is by Samuel Adams, radical propagandist — clearly is going to be a very different point of view. So Gage sends a very detailed report to a member of the King’s cabinet in London based on what the British soldiers in Boston told him. Assuming that the colonists in general were insolent and were pushing to get more than they deserved, Gage says in his statement, he suspects that the entire thing was deliberate. He thinks that there were some colonists who probably prearranged what happened, armed themselves with sticks, rocks, bricks and snowballs. I’m sorry, but snowballs just never sounds like a scary weapon to me, even though bad things happen here, and I know I would not like to be hit with a snowball, but it’s not like a brick. But snowballs are — Everyone’s complaining about snowballs in these accounts you’ll see. Somehow it just makes it seem less serious. I don’t know why. But anyway, he thinks it’s deliberate; he thinks the colonists prearranged it; that they armed themselves with sticks, rocks, bricks and snowballs; planned the ringing of the bell so that Bostonians would rise up at the signal and attack the soldiers. There’s one guy according to this account, and the mob attacks the one guy standing in front of the customs house. “And people ran to the guard to give information of his danger.” So according to Gage, people see this one guy getting attacked by a bunch of people and they — actually colonists — run to get other soldiers to help the one guy. So according to Gage’s account, they’re not all crazy radicals in Boston. Some of them are out there helping us. “Captain Preston, hearing the sentinel was in danger of being murdered” — already; we got to murder really fast — “he detached a sergeant and 12 men to relieve him and soon after followed himself to prevent to prevent any rash act on the part of the troops. This party as well as the sentinel was immediately attacked, some colonists throwing bricks, stones, pieces of ice, and snowballs” — once again the snowballs — “at them whilst others advanced up to their bayonets and endeavored to close with them to use their bludgeons and clubs, calling out to them to fire if they dared and provoking them in a most opprobrious language.” Right? 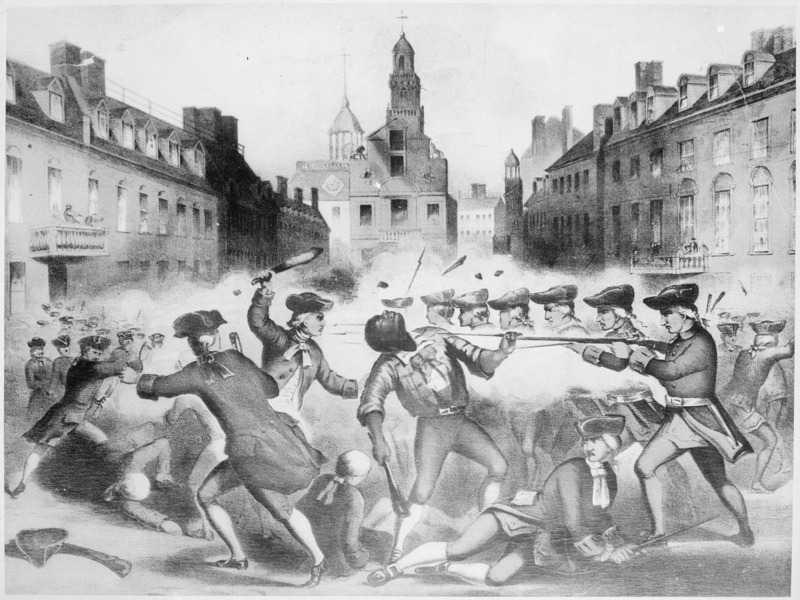 Again — ‘rude colonists behaving badly.’ So we have a group of soldiers that are lined up in front of the customs house running to protect a fellow soldier supposedly being murdered at the hands of a crude and angry mob armed with sticks and rocks and snowballs. Let’s segue over to Adams. Adams writes a series of newspaper essays for the Boston Gazette describing the same incident, often quoting testimony from the trial of the soldiers that obviously takes place after this incident, but also obviously quoting them and telling the story with his own radical flair. Now remember here the different reasons for these accounts. And this is actually a great example of the importance of thinking about the nature of historical evidence. Who things are written to and why they’re written has a lot to do with how you interpret them. Right? You have these two documents being written for really specific reasons to a very specific audience. So Gage is trying to explain to royal authorities a shooting that never should have happened. He has to somehow justify this, so he’s appealing to the people he sent the letter to — whoever this royal authority was — and he has to assume that other royal authorities are going to see it. He’s appealing to them as fellow sophisticated Englishmen who understand the nature of things out in this sort of frontier colony area, crude colonists, upset colonists. So in a sense Gage is offering sort of an extreme version of some typical English sentiment among — about the colonies. Adams is writing to the colonial public and he’s trying to raise a public outcry against the soldiers and obviously by association, against the British administration, and clearly Adams is going to want to depict these soldiers as cruel and tyrannical as all standing armies are, so in a sense Adams is certainly going to be offering an extreme version of some colonial sentiment at the time about the soldiers and maybe about the British administration generally. And here he’s trying to justify like — okay there were some crazy, radical guys but they were probably upset with the boy. Right? They weren’t angry. They were just — Of course they’d be upset. The boy was attacked. The soldiers moved to help the sentry standing alone before the mob. 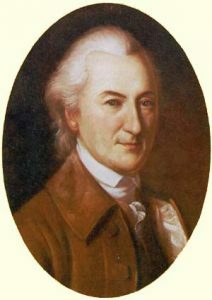 Adams said the soldiers moved, quote, with “an haughty air — they push’d their bayonets and damn’d the people as they went along — and when they arriv’d at their post, one witness who is a young gentleman of a liberal education and an unspotted character, declared, that one of the prisoners [i.e. soldiers] whom he particularly named, loaded his gun, pushed him with his bayonet and damn’d him.” Ooh. Okay. [laughter] So here, according to Adams, there’s this rude, imperious British soldier treating the young gentleman of a liberal education and unspotted character [laughs] like a lesser being. So now both narrators have gotten us to the same point. We have soldiers lined up. They have just very visibly loaded their guns. In front of them stands British Captain Preston with — who is in command of the men — and in front of Preston is an angry crowd. So according to Gage, at this point Preston — soldiers behind him — crowd in front of him — he’s trying to calm the situation down, and supposedly he’s asked, ‘Are you going to ask those soldiers to fire on us?’ and Preston says, ‘Yeah. See, the guns are behind me and you’re in front of me. No. Really. [laughter] It wouldn’t be a good idea for them to fire now because I’ll die.’ Right? [laughter] He’s like ‘No.’ It’s a good point I think. But “all he could say had no effect, and one of the soldiers, receiving a violent blow, instantly fired. Captain Preston turned around to see who fired, and received a blow upon his arm, which was aimed at his head; and the mob, at first seeing no execution done and imagining the soldiers had only fired powder to frighten [them], grew more bold and attacked with greater violence, continually striking at the soldiers and pelting them, and calling out to them to fire.” And we have Captain Preston’s description of what he heard from the crowd. He says the crowd was yelling, “Come on, you rascals, bloody backs, lobster scoundrels.” [laughs] Quite a little string of insults. “Fire if you dare. You dare not fire.” Okay. So Gage goes on, “The soldiers at length perceiving their lives in danger, and hearing the word ‘fire’ all round them, three or four of them fired one after another, and again three more in the [same] hurry and confusion. Four or five persons were unfortunately killed” — unfortunately — “and more wounded.” Okay. So that’s basically the end of Gage’s account. Clearly, in his account the soldiers are under serious attack. Adams tells a different story. Adams says, ‘Yes, the crowd was yelling at the troops but they had insulted the crowd and loaded their guns. Yes, they had sticks but everybody was carrying sticks these days because everyone was scared of the soldiers, so everyone naturally walked around in the streets with sticks.’ Now maybe that’s true, which tells you a lot about the streets of Boston, or maybe it’s not in which case it’s really creative. [laughter] ‘Yes, the crowd hit at the soldiers’ guns but they were trying to push them away.’ So Adams says it’s not an uncontrolled mob; it’s actually a group of people carrying their normal, everyday sticks, [laughter] pushing in to hear Captain Preston answer the question about whether or not he was going to order the troops to fire. At this moment, Adams says, one of the soldiers was hit by a stick, staggered, fired his gun at the crowd upon which several soldiers fired and says Adams, ‘they reloaded their guns. They were going to fire again.’ Some of the crowd moved away. One man went up to a soldier and asked him to his face if he was going to fire, and supposedly the soldier said, quote, “Yes by the eternal God” at which point the colonists knocked him down. [laughter] I love all the detail. At this point Preston called out to his men not to fire and they stopped, and here Adams says, “I am no Soldier, and never desired to be one: but I appeal to those who are, whether the words, ‘Don’t fire,’ are words of command in the British army; and whether there is not some other word which Soldiers are taught to understand, more proper to be given on such an occasion . . . which would have prevented such rashness.” So here he’s saying, ‘The guy didn’t even call out cease fire. He said, ‘Don’t. Stop.” [laughs] Great. Thank you, Captain Preston. And then Adams describes the people who died. He makes special note of the fact that Grey, the rope maker who insulted the sentry by asking him to clean the outhouse, is killed in the clash. Coincidence or murder? [laughter] Adams is good. Right? And so here Adams is tossing out the suggestion that maybe the troops were just looking for an excuse to fire on the townspeople — and then really get that nasty Grey — plotting maybe. And the British too, as you’ve heard, are wondering if maybe this is a plot on the part of the colonists. Maybe they’re actually just trying to rob the customs house and this whole thing was an elaborate ploy by the colonists just to rob the customs house behind the guard. So you can really see from these two accounts, and from the details contained within them, the animosity and the sense of alienation between the colonists and the soldiers on both sides, and you can also see really dramatically the fears on both sides that there’s some kind of a plot; there’s some kind of a plot of resistance or tyranny, depending on which side you’re on. Somehow this is organized and it’s not good and it has to be stopped — and both sides have come to that same point. And I will stop there and we will continue next week on to the logic of resistance.